Kansas is on the verge of passing a law that would limit how recipients of welfare could spend state assistance. 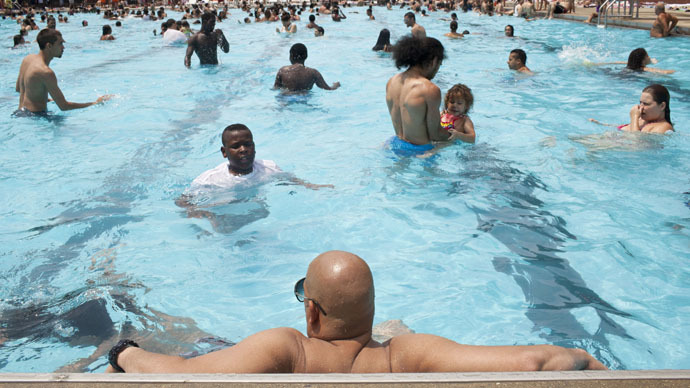 The bill would exclude visits to swimming pools or the purchase of alcohol and tobacco. The bill would also limit daily ATM withdrawals. Both chambers of the Republican-dominated state legislature have approved House Bill 2258. Republican Governor Sam Brownback is expected to sign the bill into law this week. If signed, the law would go into effect on July 1. "The governor believes strongly that employment is the most effective path out of poverty and he is supportive of work requirements that help people become self-sufficient," Brownback spokeswoman Eileen Hawley said in a statement Friday, adding that the governor will review the law carefully before signing. Items or venues on which welfare recipients could not spend government assistance include tobacco, alcohol, gambling, theme parks, movie theaters, dog or horse racing facilities, sexually-oriented businesses, nail salons, spas, cruise ships, arcades, visits to psychics, massages, piercings, among other entertainment outlets and allegedly non-essential needs. New bill in Kansas would ban welfare users from using the money on fortune tellers. Finally government standing up to big fortune telling! State Republicans insist the tough rules in the bill will encourage those receiving state assistance to find jobs. The bill requires able-bodied adults receiving temporary cash assistance to work, to be looking for employment, or to enroll in a job training program. The legislation is chock full of rules for assistance recipients, including a $25 cap on daily ATM withdrawals designed to prohibit converting benefits for cash and thus being spent on items deemed improper. "This is serious, good policy for the state of Kansas," Rep. Travis Couture-Lovelady told AP. "There's nothing better to get these people back on their feet than getting them a job and getting them back to work." Kansas bans spending welfare on cruise ships, liquor stores, fortune tellers, and swimming pools. Really? Judge much? Read the bible again. Other Kansas legislators and advocates for the poor see the legislation as an attempt to shame and degrade those whose lives are already difficult. "I just think we are simply saying to people, 'If you are asking for assistance in this state, you're sort of less than other people and we're going to tell you how and where to spend your money,'" Rep. Carolyn Bridges said during the House's debate, AP reported. The ATM withdrawal limit, critics say, could bar Kansans from paying bills on time, requiring them to make trips to ATMs on multiple days in order to stockpile what they need. "These are families already experiencing a level of chaos," said Shannon Cotsoradis, president and CEO of advocacy group Kansas Action for Children. "We're really adding to their burdens." State Republicans argue that the policies are helping move families away from welfare and into self-sustainability. The Department for Children and Families says food stamp recipients in the state have dropped 11 percent in the last two years, to a monthly average of around 280,000, AP reported. Temporary cash assistance recipients have gone down by 60 percent since mid-2011, to a monthly average of around 15,000. Kansas Action for Children, though, says child poverty rates have not gone down, and that policies such as HB 2258 only limit access to services.